What cupcake should be featured in Dowser 5? I think that “Buzz in a Cup” would be perfect for Drake – he has such Boundless Energy! What do you think? Dowser 5 will be coming out, and Meghan needs your help. And if you haven’t read the books yet? They are GREAT! At the beginning of Dowser 5 *spoiler alert* Drake eats three different cupcakes. Two are new creations of Jade’s, and the fledgling has previously tasted the third one. 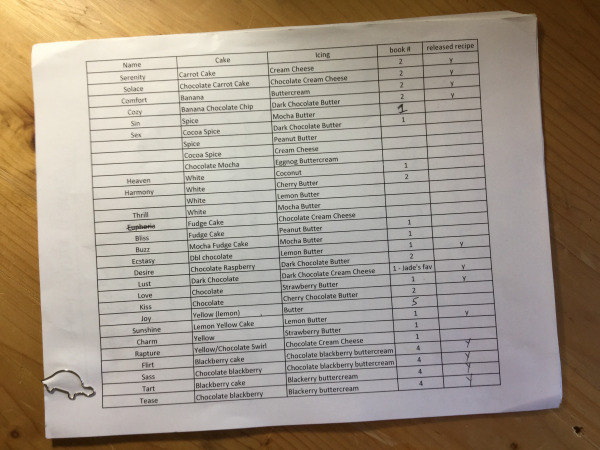 As I was working through the third draft today, I thought it might be fun if readers of the Dowser Series decided on the ‘previously tasted’ cupcake. To that end, I have embedded a poll below – which I seriously hope works – with five possibilities. All of the cupcakes on the poll were mentioned in Dowser 1, and therefore could have previously been consumed by Drake (which is the main criteria). I promise to release the cupcake recipe a couple of weeks before I release Dowser 5. Yum!